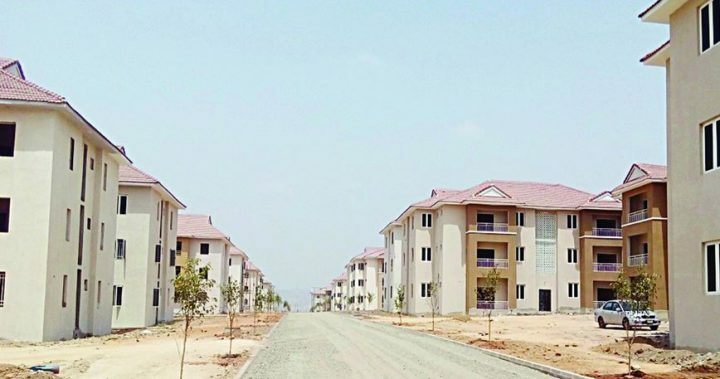 Mr Babatunde Fashola, Minister of Power, Works and Housing, has called on members of the Nigerian Institute of Estate Surveyors and Valuers (NIESV) to create data on unoccupied houses in the country. Fashola made the call in Abuja on Wednesday during a courtesy visit by a delegation from the Estate Surveyors and Valuers Registration Board of Nigeria, led by its Chairman, Mr Nweke Umezuruike. He said that the need for such data became important because unoccupied houses were not factored into the national data on housing deficit computed from outside the country. The minister said that a sizable number of the houses were being managed by members of the institute, adding that with the data, information about their rental values would be available. The minister said: “Perhaps by policy, we might be able to do something really definitive, in terms of making those unoccupied houses habitable. “Some of the challenges are either that the rent is too high or that the buildings are not consistent with the need of the proposed end users. “If we can gather this kind of data, we will begin to see what is obtainable, what is unoccupied and what the estate surveyors have not been able to let. Earlier, Umezuruike had commended the minister for the support the ministry had offered the board since its inauguration in January. He solicited the support of Fashola for the provision of office accommodation, adding that the board was prepared to have its head office to Abuja as soon as such facility was offered.